In July 1951 the United States Congress authorized the construction of a nuclear-powered submarine for the U.S. Navy, which was planned and personally supervised by Admiral Hyman G. Rickover. 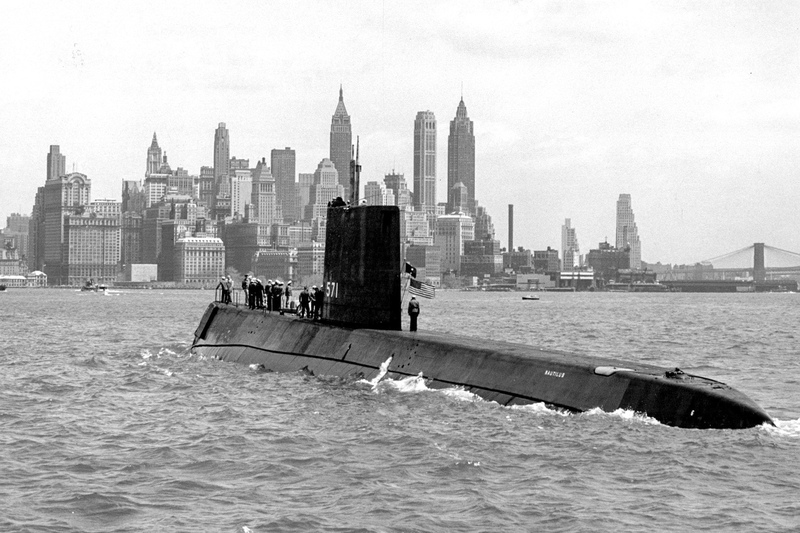 On 12 December 1951 the US Department of the Navy announced that the submarine would be called Nautilus, the fourth U.S. Navy vessel officially so named. The boat carried the hull number SSN-571. Nautilus’s keel was laid at General Dynamics’ Electric Boat Division in Groton, Connecticut by Harry S. Truman on 14 June 1952. She was christened on 21 January 1954 and launched into the Thames River, sponsored by Mamie Eisenhower. 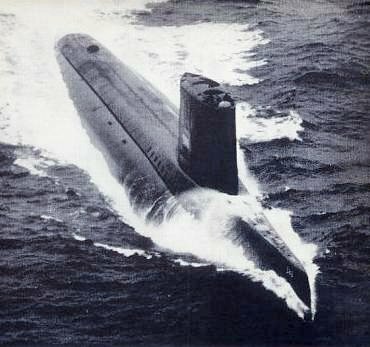 Nautilus was commissioned on 30 September 1954, under the command of Commander Eugene P. Wilkinson, USN. Nautilus was powered by the S2W naval reactor, a pressurized water reactor produced for the US Navy by Westinghouse Electric Corporation. Bettis Atomic Power Laboratory, together with Westinghouse, developed the basic reactor plant design used in Nautilus after being given the assignment on 31 December 1947 to design a nuclear power plant for a submarine. This design is the basis for nearly all of the US nuclear-powered submarine and surface combat ships, and was adapted by other countries for naval nuclear propulsion. 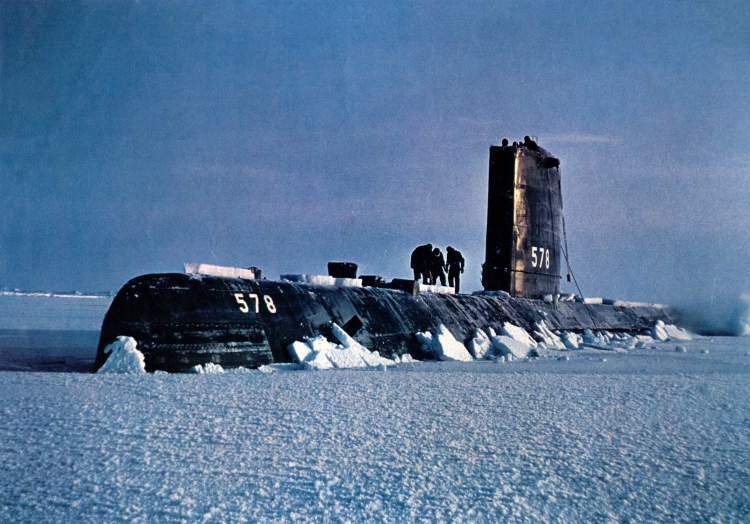 In response to the launch of Sputnik by the Russians, President Dwight Eisenhower ordered USS Nautilus (under the command of then-Commander William R. Anderson) to attempt an under-ice voyage from Pacific to Atlantic via the North Pole. USS Triton (SSRN/SSN-586), a United States Navy nuclear-powered radar picket submarine, was the first vessel to execute a submerged circumnavigation of the Earth (Operation Sandblast), doing so in early 1960. Triton accomplished this objective during her shakedown cruise while under the command of Captain Edward L. “Ned” Beach, Jr. The only member of her class, she also had the distinction of being the only Western submarine powered by two nuclear reactors.